Amazing Prosciutto and Edamame Pasta with Lemon Glaze! Bright and fragrant with a savory-sweet texture and swirls of pasta. Meyer lemons are the epitome of what lemons should be. I have to believe, that when a little lemon hanging on a tree discovers it isn’t a Meyer, it’s a dark day in the orchard. Meyer lemons have a delicate floral quality, a vibrant tender peel, and less of a bite than regular lemons. That means you can use as much as you want, without fear of ruining your dish. They are lovely little things. So you can imagine why I was in total dismay to not be able to buy them. For the longest time we had no Meyer lemons in our grocery stores. Then one day it happened. There they sat in my neighborhood grocery store. Piles and piles of radiant Meyer lemons. I grabbed them up in armfuls, like a desert wanderer who stumbles into a fresh oasis. At least now I know, I can get my share of Meyer lemons if I camp outside the grocery store overnight. 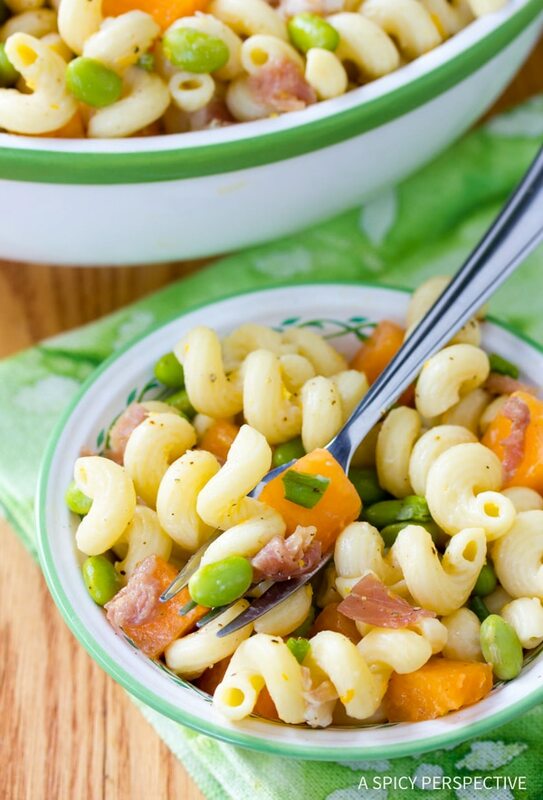 Today’s Prosciutto and Edamame Pasta with Lemon Glaze is a spring time pasta at its finest. The sauce is more of a light glaze, simply kissing the pasta, rather than drowning it. 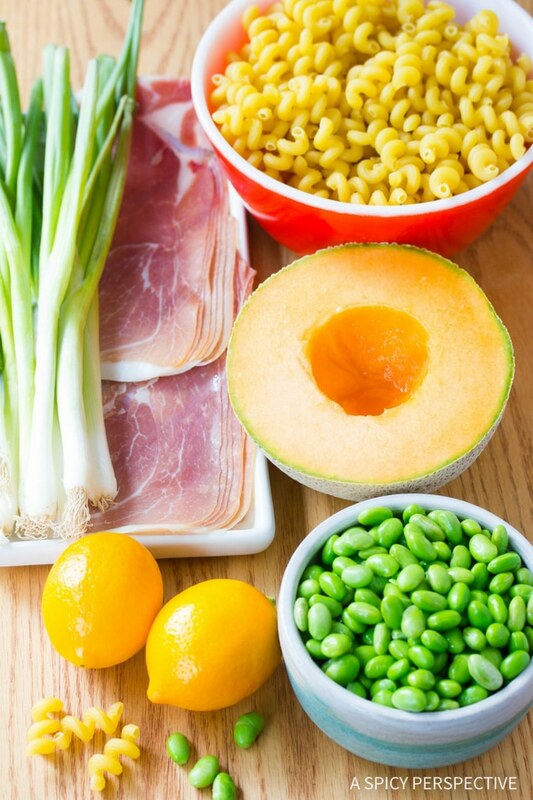 The addition of prosciutto, cantaloupe, and edamame provide wondrous contrast in flavor and texture. Plus, our Prosciutto and Edamame Pasta with Lemon Glaze Recipe is fabulous served at any temperature! It’s fantastic to pack in a picnic basket or serve at an outdoor dinner party. Cook the pasta as directed on the package. Add the edamame in the last minute. Then drained and set aside. Slice the prosciutto and cantaloupe in small bite-size pieces. In a large pan, melt the butter over medium heat. Add the flour and whisk the roux for 1-2 minutes. Add the cream and stock. Then whisk until smooth. Season with 1/2 teaspoon salt and 1/4 teaspoon pepper, and allow the sauce to simmer until it thickens a little. Add the lemon zest, juice, edamame and pasta. Toss until well coated. Toss in the rest of the ingredients. Salt and pepper to taste. Serve at any temperature. so if i’m using a pkg of frozen edamame, would i defrost it first or give it 2 minutes with the pasta? I just throw it in frozen and it takes a minute or two to thaw. But you could leave it in up to 5 minutes if your pasta needs the extra time. My favorite is pasta with cream sauce capers and roasted red peppers. Already follow you on facebook !!! I also love easy yet tasty pasta dishes like this one. 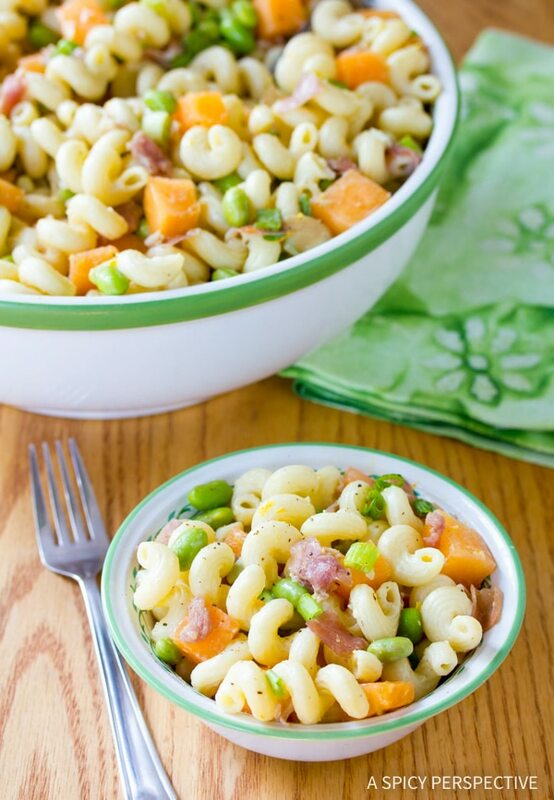 I make a similar pasta dish with soy cream & white asparagus with fresh peas & prosciutto! my favorite is my mom’s homemade lasagna! Those are real cute twirly pasta. I have to say my favorite pasta dish is Penne Vodka. It has been a while since I made it. I love a light pasta with lemon, red pepper, shrimp and white wine with fresh shaved parm and cracked black pepper and basil! The BH would love this! He goes crazy for anything with prosciutto! Penne pasta cooked with marinara sauce is my favorite…Thanks for this giveaway…. Ha! Now I know – I have to get to the grocery store at the crack of dawn. This dish has such a wonderful combination of flavors. Hi sweet lady. What a great dish to celebrate Spring. I fell in love with Meyer lemons this year (and was mailed a box from a sweet friend in California). Thank you for sharing your inspired dish with me tonight. I’m in the need of some comfort…and you are one of the blogs I know I can turn to. I hope you have a great start to your week. Blessings and love. That serving bowl is gorgeous! I love it! I went a little crazy on the Meyer Lemons this year–the first time I can remember them being plentiful in our stores. As for pasta, my favorite is a wild boar sausage, kale, and pasta dish that I found in the NY Times. A long time family favorite is a Mr. Food Recipe – Pasta Pedro. your pasta dish looks amazingly delicious. my favorite pasta is simple with small diced tomatoes, basil, garlic and extra virgin olive oil. What a wonderful and creative combonation of flavors! I love the melon addition, I can just imagine how perfect it will be w prosciutto! My fav pasta dish would have to be Pasta alla Carbonara! What a fresh, springy dish you’ve created. Beautiful photos as usual! This sounds like a wonderful springtime dish. We have a hard time finding Meyer lemons, but now and then, when they appear, we buy loads of them. Thanks for sharing! also shared this on facebook! 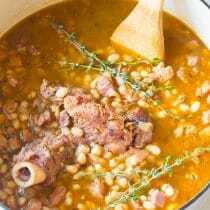 Just subscribed to your blog and bookmarked this recipe. Love pasta, any way, shape or form. Thanks for the chance to try this. Mmm! I love this post! That’s pretty funny that they always did carry the Meyer Lemons. But, now you know and can get them whenever you want, if you plan your camping adventure :-) As for the pasta… YUMMY! I love the ingredients and it’s so incredibly fresh! Love love love. When I was in Italy on vacation, I’d practically inhale prosciutto and cantaloupe for breakfast :-) Thanks so much for sharing and congrats on your Top 9! I want to come to Asheville right now. We don’t eat a lot of pasta cuz the Papa’s diabetes diet….but we certainly could have a bowl of this beautiful dish. It looks wonderful and with lots of healthy flavors in it. I definitely will try this one. You photos are beautiful. I love those dishes. Your photos are gorgeous! 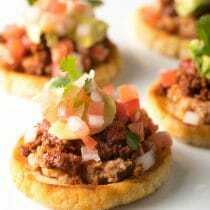 I’ve been noticing your recipes on TK, they are so interesting and look delicious! Great blog you have here. I love lemon spaghetti, I could eat it every day! My favourite pasta dish is probably my great-grandmother’s macaroni and cheese. She made the kind you bake with a custard and chunks of cheese intermingled throughout the pasta. So good. Such beautiful pasta! I love any pasta dish full of gooey cheese…lasagne, spicy macaroni, etc. Aren’t edamame pesky little buggers you have to peel… I’ve been tempted to buy them frozen a few times, the lighting is so perfect!!!! My favorite pasta dish is a lemon chicken pasta, which I use my preserved Meyer lemons for! This pasta dish is right up my alley! Looks wonderful! My favorite pasta dish hands down is Fettuccine with Fresh Corn Pesto. Ever since I’ve first made it last year it has been an absolute favorite. Gorgeous pasta Sommer! You are like an interior decorator of food. You always combine flavors I would never think of putting together and they work absolutely beautifully! I saw this featured on Tasty Kitchen this morning and had to drop by for a better look. Hope you have a great weekend! I love pasta salads with lots of fresh vegetables. GORGEOUS pics! Yum! I have a favorite pasta dish with lemon, ricotta, shrimp and rosemary. This pasta dish is so creative! 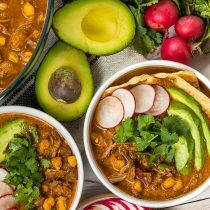 So many flavors and textures in one bowl! I am usually a simple pasta person – garlic, anchovy and oil is a favorite of mine, but this might change my mind! beautiful combo of flavors, I can imagine you with handfuls of lemons smiling from ear to ear!! ps, I think I finally figured out stumble so consider yourself stumbled, my amiga!! Pretty looking dish (and the bowl) you have! I love any light, simple pasta… where you can see everything clearly! 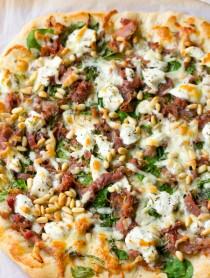 Lemon glaze , proscuitto, pasta… oh yes, please!! I recently had the fortune of experiencing Meyer lemons not too long ago, and I’m a convert, for sure! So much fun! First of all, I hear you on the Meyer lemons. I’m glad you were able to score some! These pastas look marvelous. I really love all kinds of pasta, but I really particularly enjoy stuffed pasta dishes, like ravioli filled with fluffy delicious ricotta :) Can’t get much better than that! A gorgeous pasta dish, the glaze with meyer lemons is terrific, and I like the combination of prosciutto and melon with the pasta! Meyers are wonderful lemons and this recipe looks absolutely delicious. didn’t think it was possible for perfect to improve, but your photographs keep getting better! yum! Hmmnn, my favorite pasta dish would have to be a seafood Alfredo, since I don’t eat it often enough to get tired of it. I love lemony pasta dishes and this sounds amazing with the meyer lemons, cantaloupe and prociutto. It’s hard for me to choose my favorite pasta dish, but I imagine in the winter it is a special spaghetti and meatballs and in the summer a light olive oil and pecorino dish – or something fresh tasting just like this! Thinking about it a bit harder … when i lived in Korea, you could get this super spicy pasta dish on the street in just about any urban center. Long before Roy Choi was doing his Korean tacos in trucks, Koreans had mastered the art of the sidewalk meal. Anyway, it was basically big fat macaroni noodles soaking in some sort of Sriracha sauce, although this was about ten years before Sriracha had become a brand. And it was served in a plastic bag, which you ate from as you walked away using chop sticks. This looks fabulous!! My favorite pasta dish has got to be classic homemade mac and cheese! Love the picture of the past coming out of the bag .. so pretty. Anything with artichokes in it. I love a pasta dish that’s a bit similar to this one: cheese tortellini, prosciutto, peas, lemon zest and fresh Parmesan. Love it! YUMMM! My favorite pasta dish is a tie between my husbands recipe and a local Italian place that does the BEST baked ravioli! I love me any kind of macaroni salad! I love edemame, I think we would love this! Love that pasta shape! I bet it would make good mac & cheese as it probably would hold the sauce really well! I guess mac & cheese might be my favorite pasta dish, though I am always ready to eat a hearty bowl of spaghetti and meat balls. THis reminds me of the first time I had edamame… It was at your home. I’ve been hooked ever since! I lived in Italy for a few years and my favorite pasta is farfalle topped with sauteed garlic and mushrooms in creme fraiche. Super creamy, full of mushroom flavor!!! Oh, topped with parmesan! This is great for a picnic or a garden bbq. Looks delicious. I love a spring salad with strawberries, goat cheese, and toasted pecans. Yummy, and yeah for summer! This looks delicious! I love any and all pasta…but the more colorful it is, the better! Ohhh, yes. I love prosciutto and melon, but never thought to mix it with pasta! Brilliant! I love simple pasta. Pasta pepito — fresh angel hair with tons of parmesan, fresh black pepper and a smidge of pasta water — is probably my favorite. Can’t go wrong there. I love the lemon in this dish! I too am on a bit of a lemon obsession, you just can’t go wrong and it is so bright and sunny, very spring! And the cantaloupe, nicely done! Our favorite pasta dish is simple, any sort of shape topped with our favorite pesto! I’m getting into lemon parm pastas! Toss in some wilted spinach or kale and I’m good to go! YUM! Beautiful dish! I mean the pasta – but the bowl is lovely too. You did it again! I am drooling. I will have to eat lunch before I look at your blog from now on. Your photography is superb! My favorite pasta dish would have to be spagetti and meatballs. I don’t even like ground beef but sure love meatballs. Turkey meatballs are perfect. Thanks for the opportunity on the giveway. The pasta looks wonderful. Wow…Soma the combo of ingredients added to pasta are looking awesome. Really vibrant and inviting, which is surely gng to comfort a tired soul after a hectic day. even I’m looking every where for Meyer lemons, but cudn’t find it yet…Thanks ! I’m printing this out and praying that my local grocer doesn’t run out of Meyers before I get my greedy little hands on them…. I think meyer lemons are a seasonal thing. On the pasta thing I love lasagna. They are nice and filling and there are so many fun versions to do: Bechamel or Ricotta and then so many veggies it’s fun. Wow, I love edamame and I’m Italian…I am definetly gonna try this recipe! Beautifull! I love a basil pesto with angel hair pasta, but this one may be my new fav. Great pictures. What a colorful, healthy pasta dish! Perfect for the warmer weather on the way! My favorite pasta is farfalle with vodka sauce! Mmm, yum. Super fantastic! What a great and creative combination. So spring. Pretty, Sommer! What a lovely combination! Penne with pesto and sundried tomato is my fav! Mmm, a great springtime pasta! 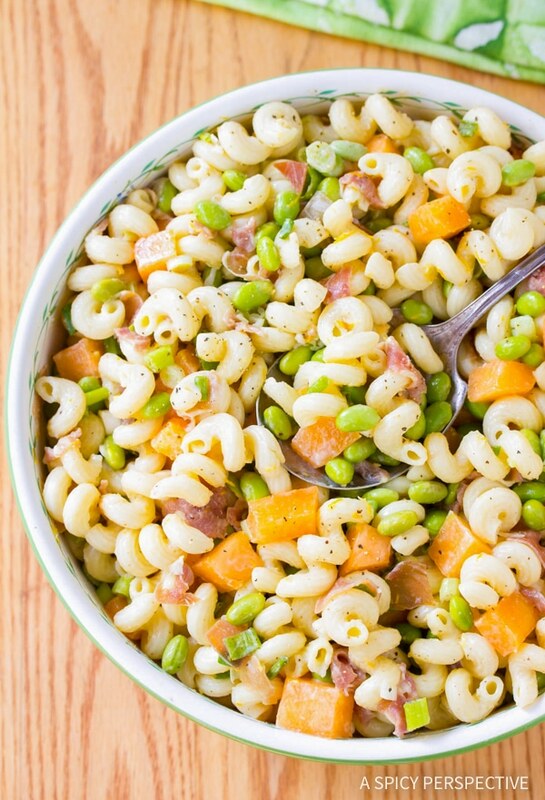 that is such a creative pasta dish, the edemame add such a nice touch and prosciutto and melon…wow, I would never have thought of adding melon to a pasta salad! Great job with this dish! Just added you to my Google Reader, yei! Ha! Well I’m glad you were able to finally get your hands on some, now you know to get them early. My favorite pasta dish has to be simply pasta tossed with a fresh uncooked tomato, garlic and basil sauce, it just screams summertime to me. Just linked it on my Facebook! Lovely pasta dish! My go-to pasta dish is clams and oregano and basil over homemade linguine. That looks wonderful. 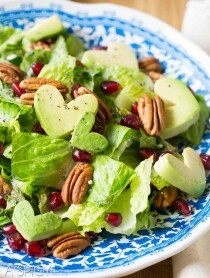 I want to run right out and get all the ingredients to make this for lunch. Beautiful photos! 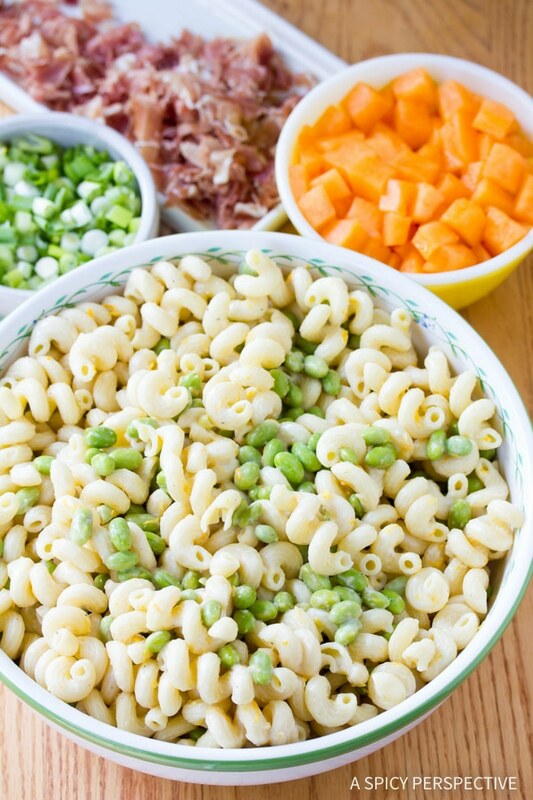 My favorite pasta is a spring campanella pasta, salami and peas and parmesan. I might add Meyer lemon next time. BTW Queen Creek Olive Mill here in Arizona has a meyer lemon olive oil that is amazing. 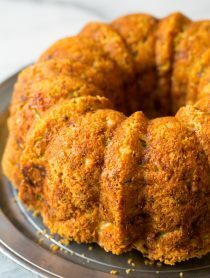 This looks so delicious and the recipe includes many of my favorites! My favorite pasta dish is a home made comfort food, macaroni and cheese with ham. The best part is that you can play with the recipe using different cheeses. There’s nothing like the sight of bubbly melted cheese! This is my first time reading your blog and I LOVE your writing style. This dish looks lovely, too! My favorite pasta dish — a go-to on a weekday night — includes orechiette pasta, arugula, lemons and good-quality canned tuna, plus a sprinkle of fresh grated Parmesan cheese. 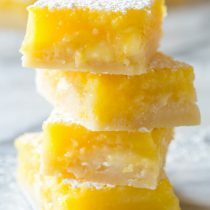 I’ll have to try it with Meyer lemons — if I can find them!